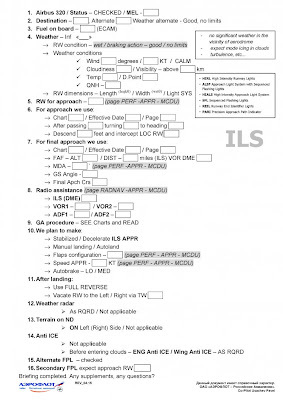 Exemplos de "briefings" sobre todas as fases de voo no A320. ⇒ Check SID and FPL. 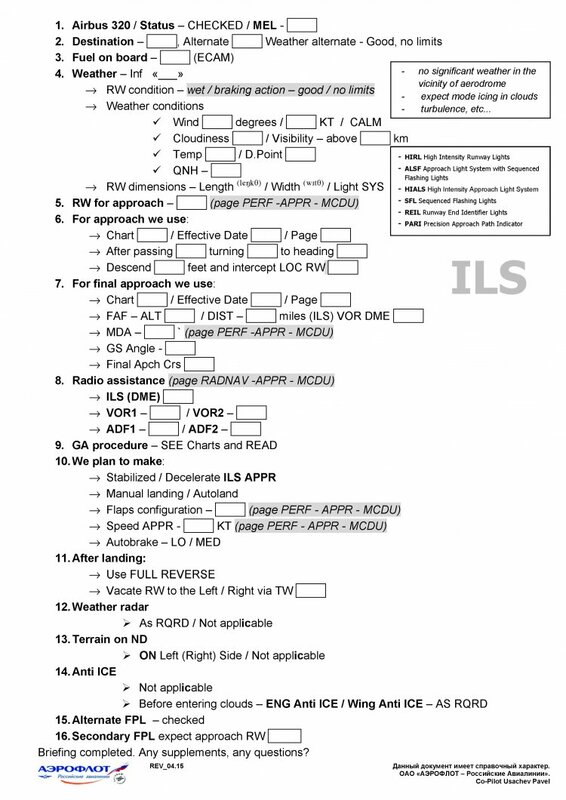 ⇒ Approach Briefing (ILS e Approach).